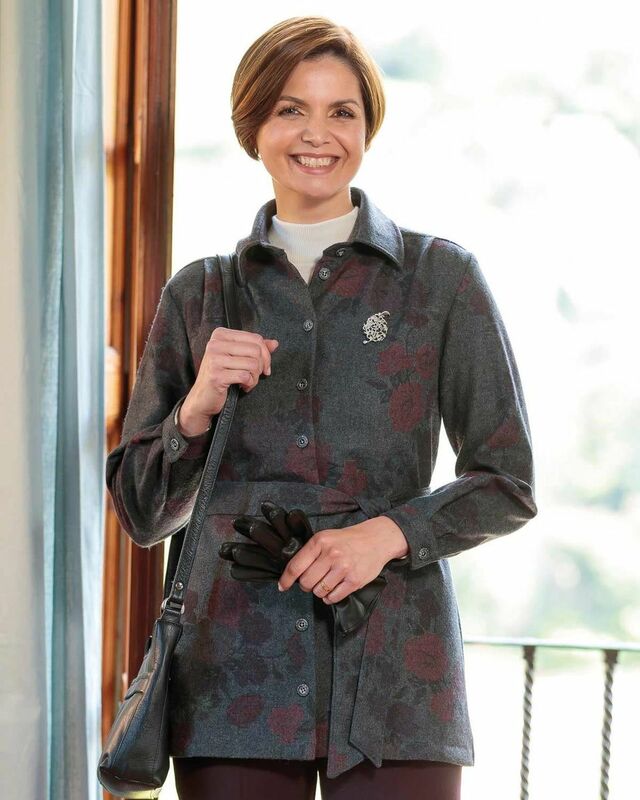 Ladies Beverley Wool Mix Floral Jacket. 70% wool/30% polyester. nicely made and is a nice fit. 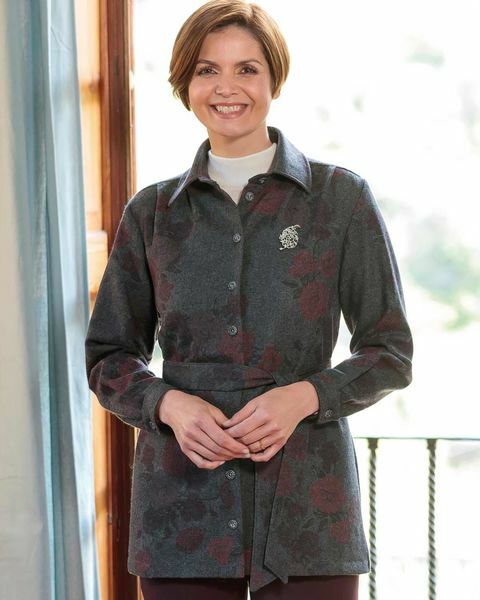 Ladies new style casual jacket with two-piece collar, button cuffs, straight hem and self fabric tie belt. Button through with side seam pockets. Wool blend, easycare fabric in 70% wool/30% polyester. Charcoal base with a distinctive claret floral design. A versatile elegant addition to any outfit. "nicely made and is a nice fit. "